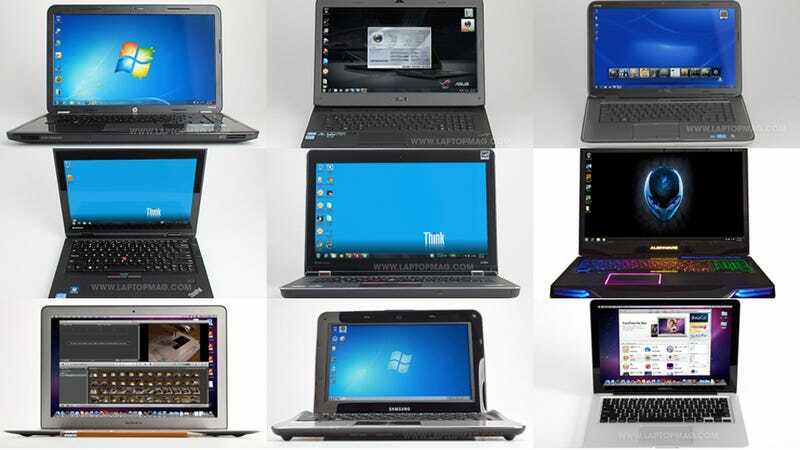 To find out the best laptops of 2011 so far, we checked in with Mark Spoonauer who, as editor-in-chief of Laptop Magazine and Laptopmag.com, oversees 140+ notebook and netbook reviews every year. If you're buying soon, buy one of these. Sweet sound, an attractive design, and a comfortable keyboard make the HP Pavilion g6x one of our favorite budget notebooks. The sleek HP Pavilion dv6t delivers a strong multimedia experience with a fast processor, bright display, and Beats audio. The most well-rounded 13-inch notebook gets a serious speed boost and lasts even longer on a charge than its predecessor. Apple's ultimate ultraportable combines a barely-there profile with a high-resolution display, instant-on functionality, and long battery life. Thanks to its fast performance, superior keyboard, ultra-bright display, and much-improved audio quality, the ThinkPad X1 is the best all-around business ultraportable. A 1080p display, Blu-ray, Nvidia graphics, awesome audio—the Dell XPS 15 has it all. Retaining the stealth-like design of its predecessor, the ASUS G73SW-A1 has more power under the hood than ever.